"Come to Satan"? Is this coming out of the U.S. of A.? The soulful backing vocals are totally blasphemous, but so much fun. 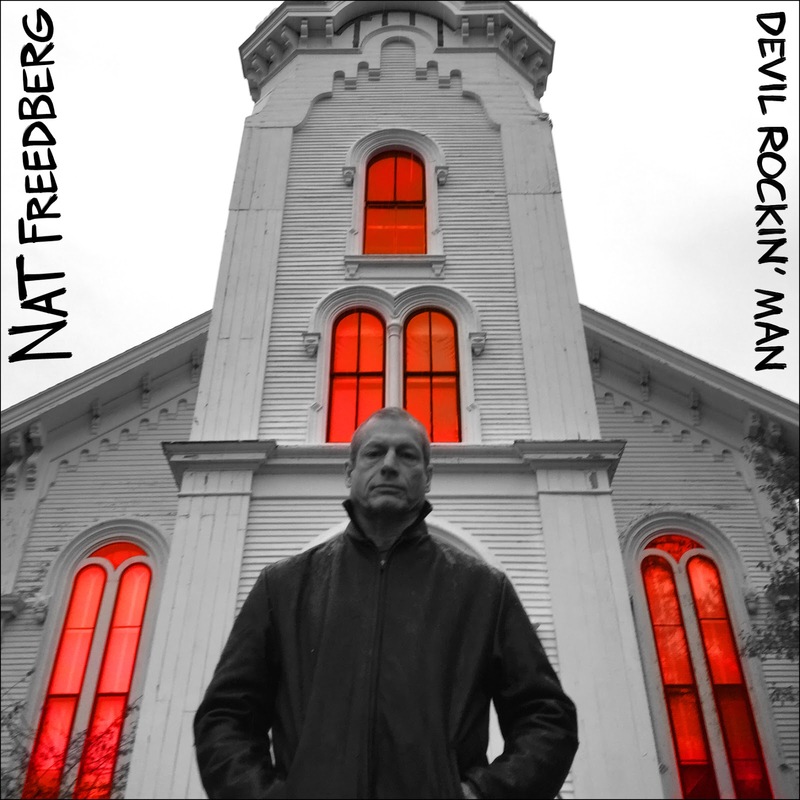 Devil Rockin' Man is Nat Freedberg's first single. As a solo artist that is, having started his career in 1981 in a band called The Flies, followed by a string of bands that I never heard of. And out of that nowhere comes this single, of course brought to me by that high rocking and a rolling label called Rum Bar Records. It is all precursing an album aptly titled 'Better Late Than Never'. What the album will be like I can't tell, its first released song is a feast for the ears. 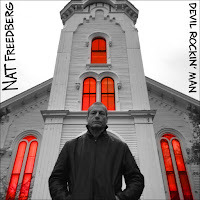 With a voice gravelled by years on the road and other causes of wear and tear Freedberg leads us through a song leading the listener straight into the arms of the devil. If tempting music is the work of the devil, count me in. This mid tempo rock song infused with some soul and gospel in the harmonies does a lot if things right. What makes Devil Rockin' Man so much fun? The melody of course. That what all songs start with. In the intro a fine electric piano sets the mood. Its mood lodged in the strong, firm sound, that can really only come out of the U.S. The oohs are already all over the place. Freedberg joins singing with a slight sneer. He knows himself he is not a real singer, but knowing his limitations he works himself from the church to hell and back. Like my late dad used to say: "If I get to heaven, well I know everything will be fine, if I go to hell, I'll meet all me old mates there". And here is Nat Freedberg seeing someone with a guitar in his taloned hands and he knows he is quite alright. The gospel choir joins in once more and the world is at peace. Right, wrong, it is all in the eye of the beholder where music is concerned. There is no right nor wrong, just taste and here I find myself having a great time. Come to Satan indeed, Mr. Freedberg and most likely you'll be joined in droves in that fire spot.